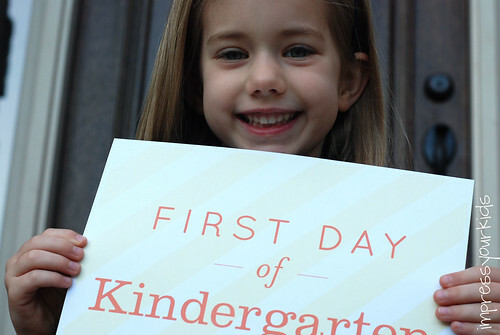 This fall, my daughter had her first day of school. First day ever. I’m a stay-at-home mom and never felt the need or desire to put her or my son in preschool, Mother’s Morning Out or even Grandma’s house on a regular basis. We’ve had fun memorizing scriptures, reading books, playing outside and just being together. 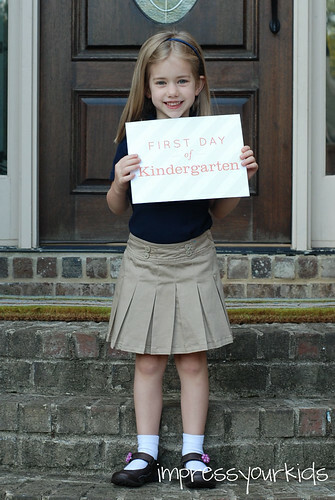 I assumed my daughter would go to public school like I did. Or maybe Christian school if we found a good one around us. But when the time came I just couldn’t do it. I wanted to be more involved in her education. I didn’t want to put my timid little girl in the arms of a complete stranger for 7 hours a day. I couldn’t imagine my daughter in a class where God wasn’t even mentioned! But my only other option was homeschool. And I couldn’t imagine planning her entire education! And what if all the bad things people said about homeschoolers became true about my daughter?! What if I failed to teach her to read? As usual, God led us to where we should go. This morning, Lydia will be attending a school that is the best of both worlds–she goes to a real classroom with kids, a teacher, cubbies and her backpack for two days a week. Then three days a week we learn at home with the curriculum set up by our school. It feels like a perfect fit for our family–there is time for Lydia to stretch her wings and time for our family to learn and grow together. We’ve been talking about how much fun she’s going to have at school. And how much fun we’re going to have at home. She’s super excited but also told me she’s kinda nervous. She thinks she might miss us just a little bit. So, we made a family zipper pull to help alleviate any homesickness she might experience. I think these would be fun to make with any kid, nervous or not. It’s fun to have a little touch of home at school. 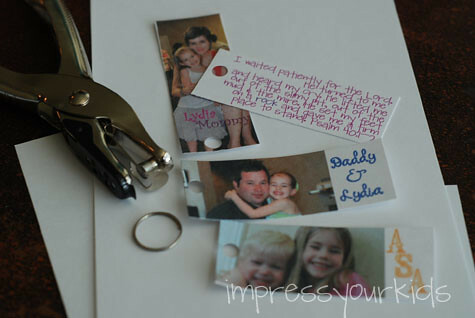 All you need is some photos, a hole punch and a keyring. I printed off a picture of my daughter with each person in our family. This was actually a really fun activity with her. We scrolled through my computer looking at pictures, laughing and remembering. Then I added a little text on top in my photo editing software. (You could do this with stickers or even just a nice marker, too.) I cut them to the same size and then had them laminated. 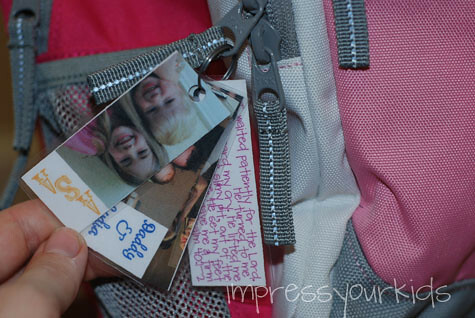 We punched a hole in them and added them to her backpack. She is way excited about it and spent several minutes explaining to her little brother how she was going to look at his picture while she was at school. We also added one of her favorite scriptures, Psalm 40:1-2 to remind her that Jesus is always listening to her and ready to help her when she needs it. She’ll be home in 1 hour and 54 minutes (not that I’m keeping track or anything) and I can’t wait to talk to hear about her day. I’m sad my little girl is so big. But at the same time I’m so excited because I love seeing how God is growing her up in Him. I just pray the seeds I’ve planted the past 5 years through stories, songs, prayers and yes, even little zipper pulls will grow to produce a harvest thirty, sixty or a hundred times what was sown! How has God led you to do school with your kids?